National Club Seven-a-sides upcoming the weekend in Des Moines will feature the best and brightest of the men’s and women’s fast and furious rugby code on display at the James W. Cownie Athletic Grounds. 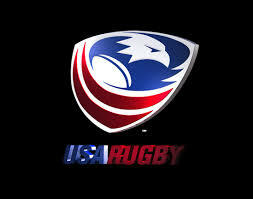 Matches will be broadcast live on the USA Rugby channel. Women’s action boots at 8am sharp with the initial women’s pool round. Rocky Mountain Squids kick off at 9am v Chicago Lions. The Squids are a rep side from our region and are competing in pool play against the aforementioned Lions, Philadelphia Rugby and highly-regarded Life West Gladiators. At minimum, a brace of wins will be necessary to see RMS through to the knockout stages, but ideally a clean sweep of their bracket will be obtained. Men’s play kicks at 9:20am, but our regional reps, Kansas City Blues Elite (v Schuylkill River Exiles at 10am) and Denver Barbarians (v US Army Selects at 10:20) aren’t off until the third and fourth flights respectively. Kansas City have appeared solidly formidable this season, and with Kelly Mercer and company hitting the top of their arc just now the upper deck of Pool C is surely attainable; Santa Monica Dolphins and Mystic River, the Elite’s other bracket opponents, will provide stern tests for the Blues. Our source, Close to the Bone, has Blues going through to the knockouts. Schuylkill gets to the quarters as well. 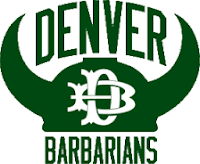 Denver Barbarians, hometown favorites for certain, have had a “French season” during which the Men in Green had a blinder of a Denver 7s tournament, knocking socks off all comers, but then Barbo ran fourth at KC’s Heartland 7s and then just squeaked into into the Best Sixteen at Nationals, showing 3rd in their own tournament a fortnight past. Without a doubt Barbarians fortunes rest on the sure shoulders of the brilliant Max de Achaval, but it’ll be the side’s forwards led by former Colorado Grizzlies High School standout, Logan Collins, who’ll see the boys through and beyond the military, two-time winner (from the last four) Belmont Shore and Titans Rugby out of the great State of Hawaii. Close has Barbarians going through to the quarters from a flashy and splashy Pool D and we’re thinking they’ll be joined by Belmont, too. 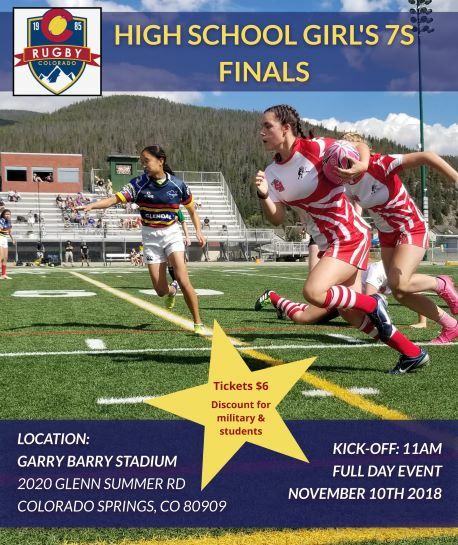 There will be a Colorado flavor to Pool B’s Old Blue (one of last year’s finalists) squad in the form of Australian native and Arkansas State graduate Harry Higgins, who spent a couple summers in the Mountain 15s league playing for Vail RFC, and Michael Al-Jiboori, who ran out with Barbo 7s in 2014. No easy quartet though, Pool B, as Chicago Lions and Life West Gladiators are both swimming about the tank and also OB’s initial adversary, the very dangerous Austin Blacks. Figure on Old Blue and Austin moving on to the quarters. Pool A and it’s Seattle Saracens seeking its third consecutive national sevens title. Sarries reign supreme until some side knock them off. And it could very well be darkhorse, 1823 Rugby. The select sevens side from Columbus, Ohio is eminently well-coached by the 7s complement of Paul Holmes and Taylor Howden, and features crossover athletes Ty Elkins and Aaron Diesel. 1823 also boasts the first All Blacks 7s player of Indian descent, Rocky Khan, on its roster. Charlotte and Dallas round out the foursome.